Microsoft Teams is a great collaborative tool for your organization. It empowers people and teams to discuss, innovate, and share ideas using the power of Office 365. 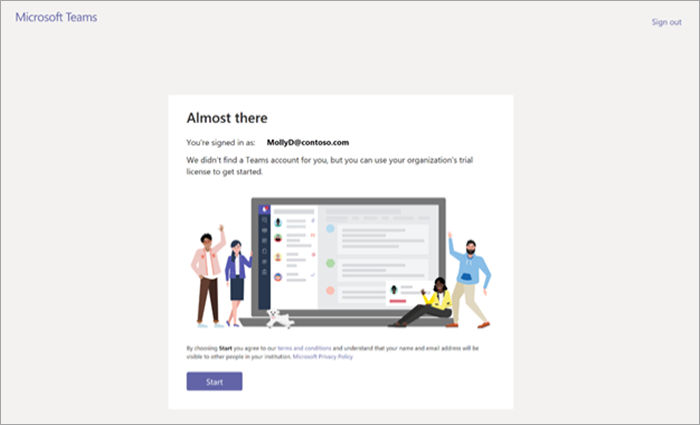 The Microsoft Teams Commercial Cloud Trial offers existing Office 365 users in your organization who are not licensed for Microsoft Teams to initiate a 1-year trial of the product. Admins can switch this feature on or off for users in their organization. The trial grants a one-year trial subscription to your entire organization. The trial makes 500,000 licenses available for assignment. For each license assigned, the trial allocates 2 GB of SharePoint Online storage. 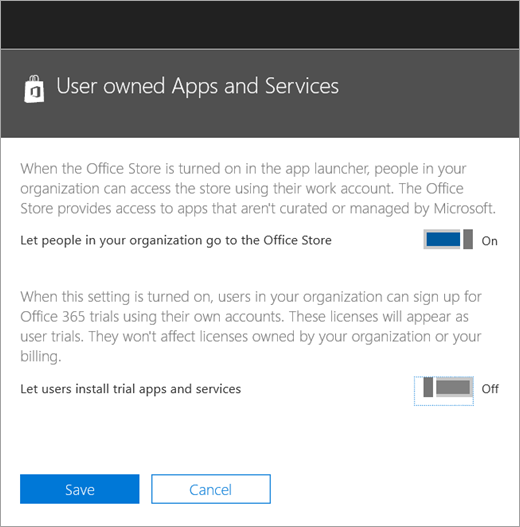 Users must be enabled to sign up for apps and trials (in the Office 365 admin center). For more information, see Manage the trial later in this article. Users who do not have an Office 365 license that includes Teams can initiate the Microsoft Teams Commercial Cloud Trial offer. For example, if a user has Office 365 Business (which doesn't include Teams), they are eligible for the trial. If your organization is ineligible for the Microsoft Teams Commercial Cloud Trial offer, you will not see the Let users install trial apps and services switch. Eligible users can sign up for the trial offer by logging into Teams (teams.microsoft.com). They will see the following screen to start the trial. All trials within your organization share the same start and end dates, which is the date the first user signed up for the trial. For example, if user A starts the first trial on January 25, 2019 and user B starts a trial on June 3, 2019, both users' trial will expire on January 25, 2020. Admins can manage the licenses for users who have signed up. In addition, admins can disable the ability for end users to claim trial apps and services within their organization. Currently, the trial described in this article is the only trial in this category, but it might apply to other similar programs in the future. You can turn off a user’s ability to install trial apps and services. 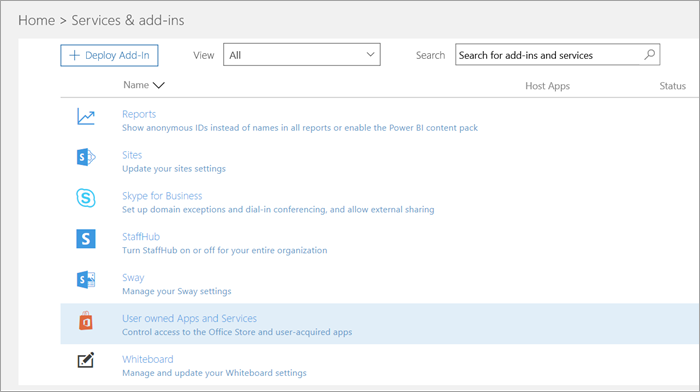 From the Microsoft 365 admin center, go to Settings > Services & add-ins > User owned Apps and Services. Turn off Let users install trial apps and services. A user who is assigned a license that includes Teams is not eligible for the trial. When the Teams service plan is enabled, the user can log in and use Teams. If the service plan is disabled, the user cannot log in and is not presented with the trial option either. In the Microsoft 365 admin center, select Users > Active users. Select the box next to the name of the user. On the right, in the Product licenses row, choose Edit. In the Product licenses pane, switch the toggle to Off. If a user has claimed a Teams trial license, you can remove it by removing the license or service plan. The Microsoft Teams Trial toggle switch will appear once the first user signed up for the trial in the organization. You can manage users who have a trial license just like you manage users who have a regular paid license. 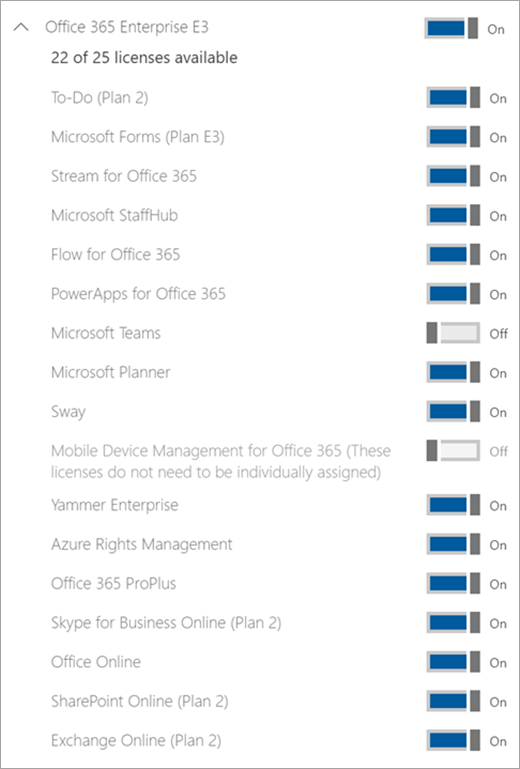 For more information, see Manage Microsoft Teams settings for your organization. Purchase a subscription that includes Teams. Remove the Teams trial subscription from the user. Assign the newly purchased license. For more information, see Office 365 licensing for Microsoft Teams.